At ZNF, we take the security and confidentiality of all patient information very seriously. 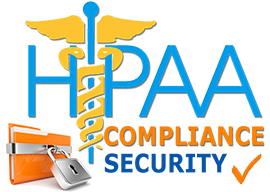 All ZNF systems and protocols meet or exceed HIPAA compliance standards at every step of the medical transcription process. ZNF Staff: All ZNF medical transcriptionists are US-based and have signed privacy and confidentiality agreements. They have been trained in the areas of digital security and privacy and have undergone extensive background checks. Ensuring the confidentiality and security of our clients’ files is my top priority.